BIG FAT MESS: The territory’s public schools after Hurricanes Irma and Maria. Governor Kenneth Mapp said that he applauds Education Commissioner Sharon McCollum “recommissioning” an Ivanna Eudora Kean High School generator that was used to keep tilapia fish alive on St. Thomas for her own personal use at her private home: “Resourcefulness,” Mapp asserted. 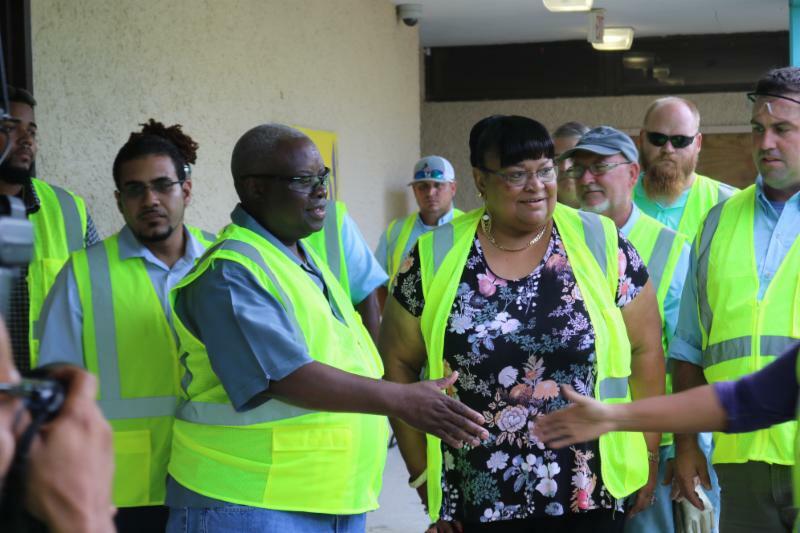 During his inspection, work crews could be seen completing various tasks and the governor was assured by APTIM executives that work would be completed in time for the reopening of schools. Jason Edward, APTIM construction manager, guided the governor and his delegation on the tours, and offered insight into the extent of the company’s work. 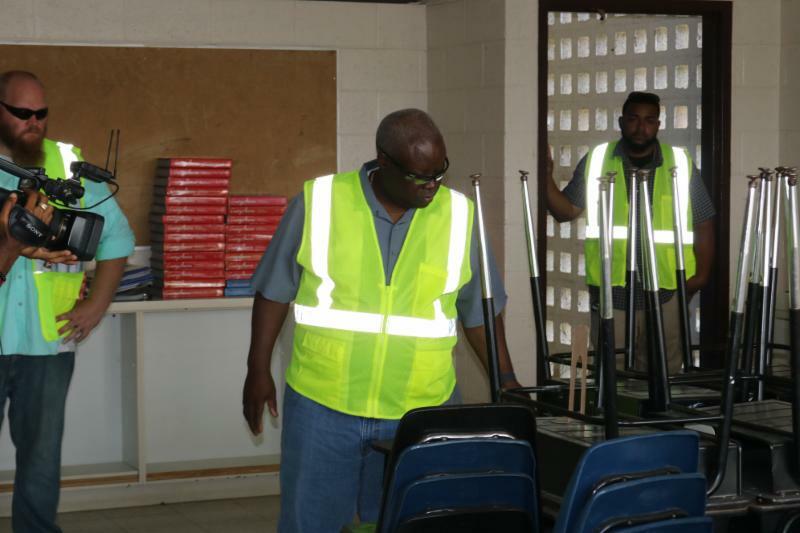 Edward pointed out that the cleaning agents used in the schools are of hospital-grade quality, and are effective for treating mold and mildew without any negative impact on the environment or persons who will be using the space. 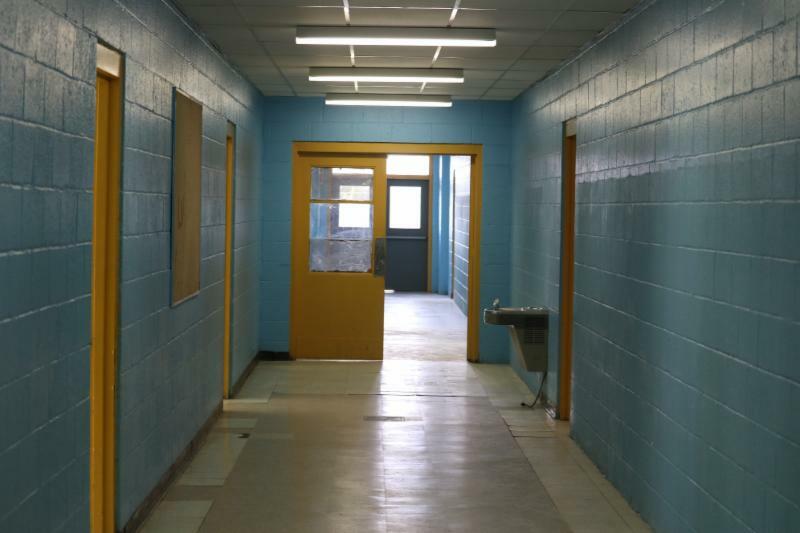 APTIM’s responsibilities include mold remediation, roof repairs, sanitation and other necessary repairs at Alexander Henderson Elementary School, Alfredo Andrews Elementary School, Eulalie Rivera Elementary School, Pearl B. Larsen Elementary School, Lew Muckle Elementary School, and John H. Woodson Junior High School.